Parkening’s rare combination of dramatic virtuosity, eloquent musicianship and uniquely beautiful sound has captivated audiences around the world. He has performed at the White House, appeared with Placido Domingo on Live from Lincoln Center, participated in Carnegie Hall’s 100th Anniversary celebration and performed twice on the internationally televised Grammy® Awards. Parkening has appeared on many nationally broadcast television programs, including The Tonight Show, Good Morning America, CBS Sunday Morning, The Today Show and 20/20. He has collaborated with composers John Williams, Elmer Bernstein, Joaquín Rodrigo, F. Morena Torroba and Mario Castelnuovo-Tedesco, and premiered new concert works in an effort to keep the guitar in the musical forefront. 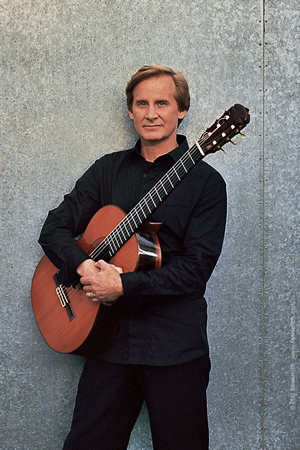 He was acknowledged as “Best Classical Guitarist” in the nationwide readers’ poll of Guitar Player Magazine for many consecutive years, and was placed in their Gallery of Greats along with Andrés Segovia and English guitarists John Williams and Julian Bream.